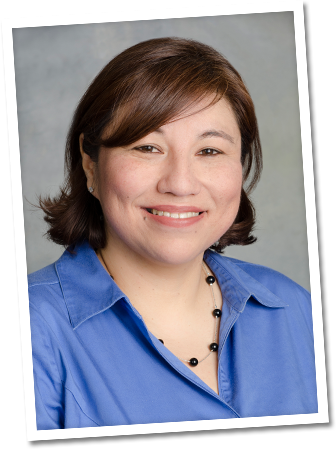 Valerie is running for re-election to the West Contra Costa Unified School District (WCCUSD) to create excellent schools that will inspire our kids to reach their full potential. A quality education can prepare all kids for a successful future. Our students have so many college and career dreams – and WCCUSD can make those dreams real by offering a high-quality learning environment both inside and outside of the classroom. However, the majority of our students do not access a college and career preparation curriculum. High school graduation signifies the end of one chapter and the beginning of another. 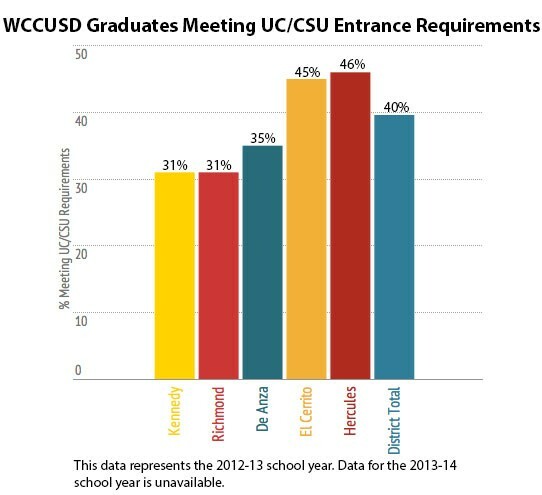 Sadly, even if they personally want to immediately pursue a bachelor’s degree, the majority of West County students walk away from their high school education without the requirements to directly enroll in a California public university. But it does not have to be this way. Together, we can improve student outcomes in our district. To do so, we need a FISCALLY TRANSPARENT board. We need a COMPASSIONATE board who listens to all of the unsung heroes who keep our school doors open. And, we need a FORWARD THINKING board to explore all options for student success and safety. Strong reading skills are a necessity and without question the key to future academic success for our children in West Contra Costa Unified. However, only 37 percent of all third graders in WCCUSD are reading at or above grade level. In many studies, third-grade reading level is commonly shown to be a significant predictor of eighth-grade reading level and ninth-grade course performance even after accounting for demographic characteristics and how a child’s school influences their individual performance. Also, third-grade reading skills often predicts graduation and college attendance as well. If we want to help our students reach their college and career dreams, we must ensure all students read at grade level. The Local Control Funding Formula (LCFF) requires our district to use concentration and supplemental funds to “increase” or “improve” services to low-income, English learners and other historically underserved students. School districts have flexibility in determining which services to provide and how they will be implemented. WCCUSD has a choice to distribute those funds through Targeted Student Services—one-to-one services; Schoolwide programs—for schools with eligible students or on programs that primarily benefit high need students; or Districtwide Programs—initiatives for all that have achievement gap closing benefits. Our school board determines if we utilize our LCFF funds districtwide or schoolwide through the adoption of the Local Control Accountability (LCAP) plan. In order to achieve better educational outcomes for our students, we must send more dollars to our actual school sites where school principals, teachers, parents and students inform the best strategies and use of those dollars. Our district is hemorrhaging great teachers and losing them to other nearby districts. Every year significant teacher turnover remains an unresolved district issue, especially for our highest need schools. District schools losing up to 12 teachers at the end of each school year is far too common. This persistent loss of teachers de-stabilizes our schools and ultimately hurts our students. Conversely, there are too many instances when our high-need learners start the school year without a permanent classroom teacher assigned to them. For example during the first five weeks of the 2014-2015 school year, 24 third grade students in Lincoln Elementary School’s Transitional Bilingual Education (TBE) classroom went without a permanent teacher. District leaders must improve working conditions in our schools by creating stable, supportive, and collaborative work environments. This means providing all of our hardworking educators with quality school site leaders, peer feedback, developmental supports, increased career opportunities, and sense of professional agency that reaffirms how student and teacher success are fundamentally intertwined. How will you ensure that my children (and quite frankly, every child) receive quality instruction to be college and career ready by the time they graduate? Valerie is 100 percent committed to ensuring all of our students have full access to rigorous content and college-preparatory coursework aligned with the Common Core, English Language Development (ELD), and Next Generation Science standards, including the “A-G” courses at the high school level that are necessary for acceptance into the state’s public universities. She also believes in the academic promise of our Linked Learning programs, which combine college-ready standards with Career Technical Education. Strengthening professional learning opportunities and collaboration time to ensure all teachers are equipped with the strategies and skills needed to support the college and career dreams of all students, especially our low-income students, English learners and foster youth is vital for our students to be college and career ready by the time they graduate. What do you believe are the strengths and weaknesses of bilingual education in WCCUSD? English learners make up thirty-three percent of our total district students. They are a large sub-population in WCCUSD with diverse learning needs. Often students who are learning English in our district schools, particularly those who are also low income, are less likely to demonstrate proficiency on the state standards, are more likely to repeat grades, are less likely to enroll in college-preparatory coursework in high school, and are more likely to drop out of school. It is also not uncommon for English learners to spend half a dozen years in our schools without being reclassified as English proficient. In my opinion, our EL students face insufficient academic supports, ill-prepared teachers, and less rigorous coursework, causing them to struggle academically. Strengthening bilingual education programs in WCCUSD starts with scaling up successful dual-immersion programs across the entire district, ensuring all of our EL classrooms are adequately staffed with qualified, fully credentialed BCLAD teachers BY the start of every school year, building stronger home-school relationships with our parents, and most importantly instilling the belief across our entire district that our students’ native languages are cultural and linguistic assets. What is your stance on charter schools? Valerie believes in the limitless potential of all children to learn and she is a strong advocate for quality public education. As such, she desires strong neighborhood schools for every community in our district. Valerie does not support school vouchers and does not support for-profit charter education providers. However, she is well aware that district parents want great schools for their students and their demand for charter options will not cease as long we fail to adequately change outcomes at chronically low performing neighborhood schools. Valerie is committed to strengthening site-level supports to increase the quality of all of our district schools. WCCUSD has high rates of truancy in its schools – how will you make sure students stay in school and attend class? Data to identify which schools are most touched by truancy is key here. Patterns of chronic absenteeism are recognizable and early intervention is possible provided we target programs and services to the school communities most in need of support. Partnering with community based organizations and parent leaders is also important. In much the same way the CeaseFire movement has partnered with local government and the faith-based community to reduce gun violence throughout our cities, our school district can develop an Education Promotoras program consisting of volunteer community outreach workers (parents, community leaders and faith groups) to help inform our families about the importance of making sure all of our students attend class and stay in school. Most of all, they can be part of an early support network to help our schools catch children before they slip through the cracks and become another truancy statistic. How do you plan on engaging the community in order to aid in improving schools in the district? One of the best ways to engage the community in order to aid our schools is to have more community members participate in our Local Control Accountability Plan process. The Local Control Funding Formula (LCFF) is an excellent vehicle for all stakeholders to give input on how our district utilizes funding in eight state priority areas meant to improve conditions of learning, pupil outcomes, and engagement of local stakeholders such as students, parents, teachers, and civic leaders. As in the past, Valerie is dedicated to authentically working with our communities to ensure our district’s parent involvement activities offer real opportunities for meaningful engagement and grassroots leadership development. Safety in our schools and reducing violence is critical. How will you collaborate with schools, parents and students so all learning environments are safe and free of bullying? We know that violence and bullying can threaten students’ physical and emotional safety and can negatively impact their ability to learn. There are a number of things our district can do to make our schools safer and prevent bullying. First, we should empower our youth to conduct student-led surveys to determine how often bullying occurs, where it happens, how students and adults intervene, and whether our prevention efforts are working. Next, we must assess our current violence prevention and intervention efforts and build upon our existing anti-bullying strategies. Lastly, we must all work together to send a unified message against violence by creating policies and programs that establish school cultures of acceptance, tolerance and respect. Partnerships with faith-based and community-based organizations can help deliver anti-violence curriculum and activities, training for teachers and staff on rules and policies, and give all stakeholders in our district the skills to intervene consistently and appropriately. Do you support Full Service Community Schools to assist children dealing with Adverse Childhood Experiences (ACEs)? In addition to strong academic supports, the core pillars of Full Service Community School models include school based mental health programs, nutrition programs, physical activity programs, parent engagement, culturally- competent staff. The equitable implementation of quality Full Service Community Schools is one of the district-wide uses of LCFF concentration and supplemental funds that I very much agree with because it presents the opportunity for our district to pursue a school model that helps our district make progress in all eight LCFF priorities identified by the State. The State Board of Education selected the following eight areas as those toward which district LCFF funding should be directed: Student Achievement; Implementation of Common Core state standards; Course Access ensuring all students have access to classes that prepare them for college and career; Basic Services guaranteeing well-maintained school facilities and up-to-date materials; Student Engagement; School Climate promoting a calm, positive and productive school environment, including reducing suspension rates and misbehavior; Parent Involvement; and Other Student Outcomes physical education, the arts, and other areas of study. What will you do to better the transparency between Bond program committees and the WCCUSD community/families? Too few of our families and local homeowners monitor the official activities of WCCUSD Bond program committees. In order to increase transparency and accountability, our district should consider televising or live streaming all of the Board’s official meetings such as the Facilities and the Technology subcommittees, as well as the Citizen’s Bond Oversight Committee (CBOC) meetings in much the same way general school board meetings are televised on local cable access. This would increase public accessibility to important information, public discourse on relevant Bond agenda items, and an overall awareness of the interconnectedness of formal Bond related committees. 3 California Department of Education, July 2014. 4 Lesnick, J., Goerge, R.M., Smithgall, C., Gwynne, J. Reading on Grade Level in Third Grade: How Is It Related to High School Performance and College Enrollment? University of Chicago, 2010.